Proposed tariffs on imports of Boeing Co. jets to China would catch a sliver of the aerospace giant’s products, but investors on Wednesday continued to dump the stock amid concerns about a broader global trade war. 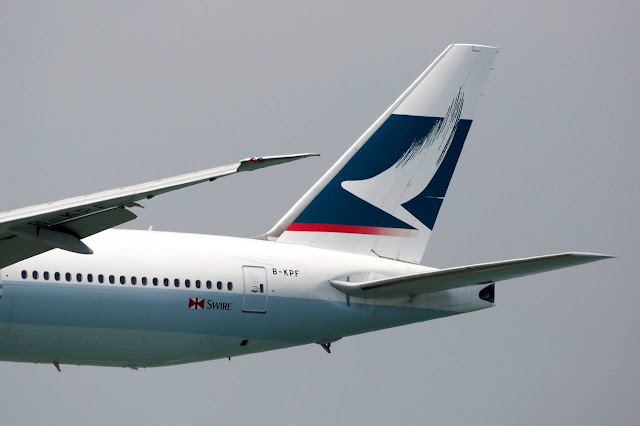 Aircraft are among the products targeted by the slew of levies unveiled by Chinese authorities Wednesday, but the tariffs are restricted to smaller planes with empty takeoff weights of 15,000 kilograms to 45,000 kilograms. Analysts said those tariffs would affect the existing version of the single-aisle workhorse Boeing 737, which is being phased out, and the smallest type of the replacement 737 Max, which has only a handful of orders from Chinese customers. Together, these account for just 5% of Boeing’s 737 backlog. China is Boeing’s largest single market, with double-digit growth in passenger traffic there driving demand for around a fifth of the company’s total jetliner deliveries last year. China has limited room to swap out for jets made by rival Airbus SE if the planned tariffs hit purchases of Boeing planes because of the European plane maker’s own big order backlog. The two companies have a roughly even split of sales in China. Analysts said import tariffs in aerospace could also harm China’s own ambitious plans for the sector. “This is a bad sector for China to apply tariffs,” said analysts at Sanford Bernstein & Co. in a client note, flagging that the rival Airbus A320 jet is effectively sold out through 2022. Boeing declined to comment on China’s move and whether it would respond to the planned U.S. tariffs on Chinese-made aircraft parts and services. Concerns the U.S.-China spat could dent future Boeing sales have hung over the stock in recent weeks, sending it down 15% from an all-time high in late February. The shares were recently down more than 2%, paring half their earlier decline. China’s focus on 25% tariffs on smaller planes could also affect business jets, including Gulfstream planes made by the General Dynamics Corp. and the Cessna arm of Textron Inc. General Dynamics and Textron declined to comment. Shares in both companies fell more than 1%. Analysts said even if the U.S. and China fail to reach agreement and the tariffs come into force, contracted deliveries to China were still likely to go ahead under existing terms, with little or no effect on Boeing’s short-term financial performance. Chinese companies, including the state-owned AVIC holding group, are suppliers on most of Boeing’s commercial programs, sending parts such as aircraft doors and tail fins for assembly in the U.S.
Boeing also has a joint-venture facility near Shanghai where it plans to fit seats and interiors for jets destined for Chinese carriers, though the company hasn’t said when this will open.